Opposition candidate, Ibrahim Mohamed Solih (Ibu) talking to the press. 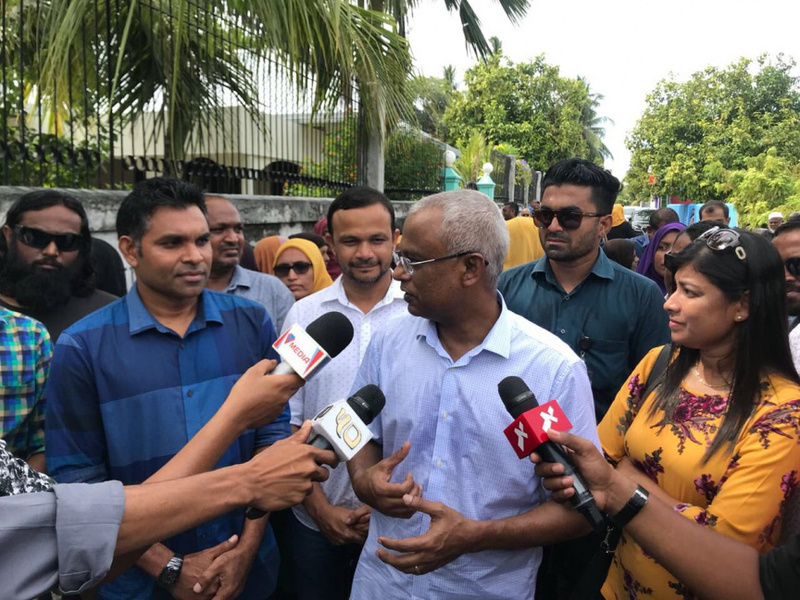 Opposition candidate in the upcoming Presidential Election, Ibrahim Mohamed Solih (Ibu) has halted his campaign and left the country. Talking to the press after the campaign trip to Addu City and Fuvahmulah City, Ibu said that he has a trip abroad which would take two to three days. However he did not say what kind of trip that was. He said that the campaign trips to other atolls will begin after his trip abroad; after 23 July. Ibu has met with the former President Mohamed Nasheed in Sri Lanka prior to being elected by the MDP Congress as the MDP candidate for the Election in September. After the campaign trip to Addu and Fuvahmulah City, Ibu said that the two atolls showed tremendous support and are impatiently waiting to vote.